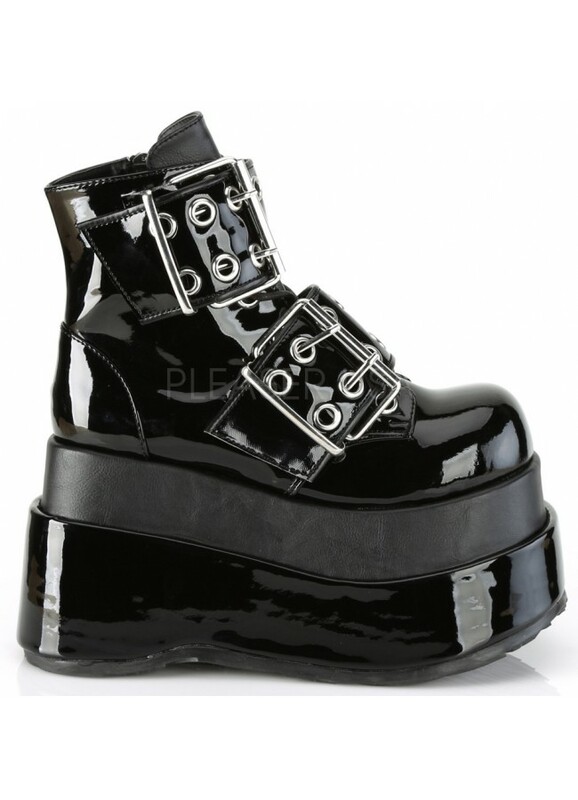 Stacked, 4 1/2 inch high platform Bear 104 ankle boot for women is in shiny black patent with buckled straps. 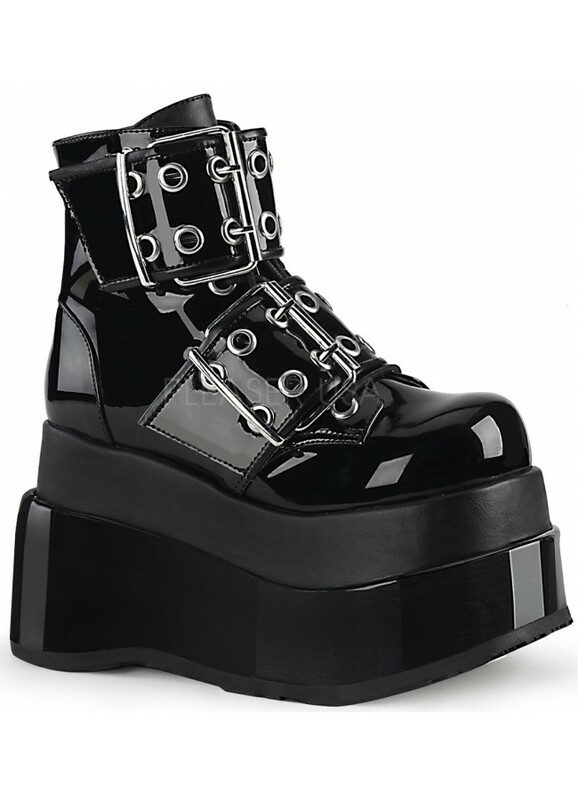 Bear 104 is a cool black patent boot with a biker vibe. It has a 4 1/2 inch stacked heel with 4-inch platform, lace-up front and double grommet wide buckled straps. Inside zipper closure. 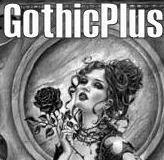 This style is made in womens whole sizes from 6-12 (medium width). All man-made boots by Demonia has a non-skid sole and padded insole. Item Number: PL-BEAR-104 | Approximate Size (Inches): 10.00 wide x 12.00 deep x 6.00 high | Approximate Shipping Weight: 3.00 lbs.